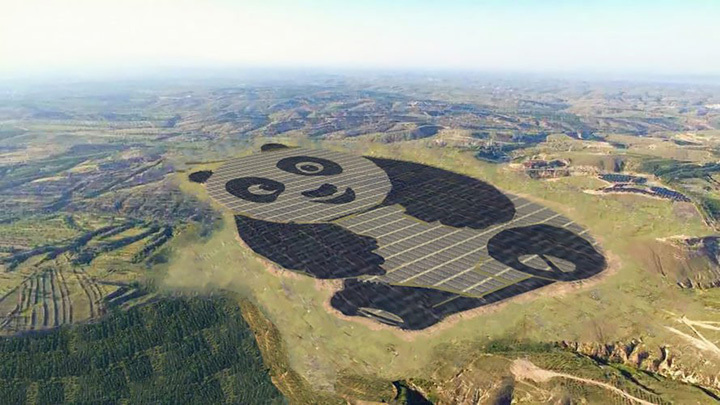 A clean energy company based in Hong Kong has built a solar power plant in the shape of a giant panda, one of China’s national treasures. China currently leads all other countries in installed solar capacity and the country is showing no signs of slowing its progress in investing in renewable energy. China Merchants New Energy Group, one of the country’s largest clean energy operators, built a 248-acre “Panda Power Plant” in Datong, China. The project just began delivering power to a grid in northwestern China, and a second panda is planned for later this year. 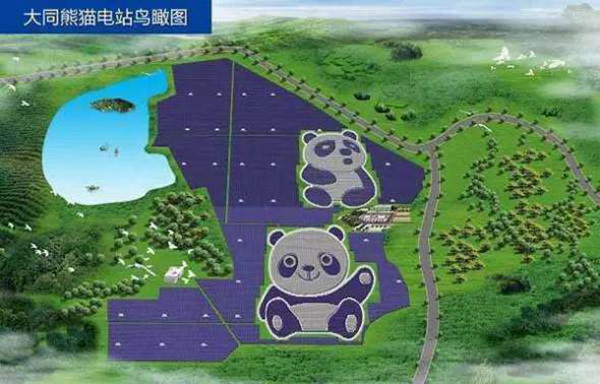 The Panda Power Plant will be able to produce 3.2 billion kilowatt-hours of solar energy in 25 years, according to the company. That will eliminate million of tons of coal that would have been used to produce electricity, reducing carbon emissions by 2.74 million tons.